If shearing knives are what youre looking for, youve come to the right place!! This knife comes with a durable stainless steel blade and 10, 14", and 18" handles. Keep your edge in the field! These 6" and 12 Diamond Sharpening Steels will save you time and money. If you need to get the job done, you wont leave home without them! Hand made in the mountains of North Carolina. Cool, comfortable protection is a must for anyone who shears! We use the best quality in materials. Youll never go back to plastic. No more complaints for shearing or hand tying! A must for shearing or wreath making! Try our quality, light weight knit gloves. 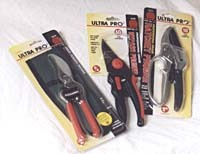 They are ideal for spring or shop work projects. We guarantee youll be satisfied.